Insomnia is a pervasive problem among adults that impairs cognitive abilities and the immune system, and it can intensify other mental and physical disorders. Yet, existing medical, psychological, and alternative treatments have only limited success in treating this persistent disorder. 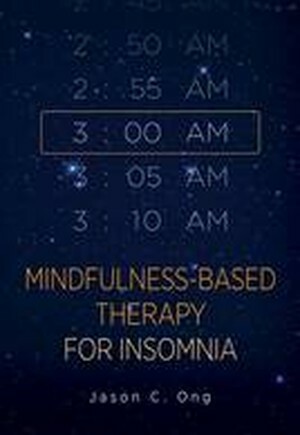 In this clinical guide, Jason Ong introduces mental health practitioners to an innovative, evidence-based form of treatment to treat chronic insomnia: mindfulness-based therapy for insomnia (MBTI). MBTI is an 8-session group intervention that combines mindfulness meditation with principles and strategies derived from cognitive behavioral therapy. Through guided meditations, group discussions, and daily activities performed at home, participants cultivate greater self-awareness and change their unhealthy thoughts and behaviours surrounding sleep to reduce stress, sleeplessness, and other insomnia symptoms long after treatment has ended. As well as teaching mental health professionals how to integrate MBTI into their own practices through detailed session-by-session guidelines, this book helps practitioners evaluate potential participants prior to treatment by assessing any physical and psychological issues that underlie their insomnia and determining whether MBTI will be appropriate for them. Practitioner competency is also given special focus.